Jennifer (JC-S) (Canberra, ACT, Australia)’s review of Ripple: What Choice Did She Have? 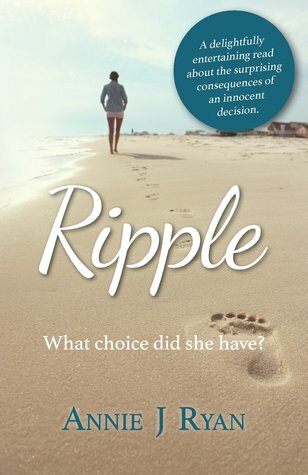 Jennifer (JC-S)'s Reviews > Ripple: What Choice Did She Have? Ripple: What Choice Did She Have? Meet Mel Wilson. Mel lives in Perth, Western Australia. On the same day that her employment contract is not renewed, she finds herself in the media spotlight. Mel’s a hero. She’s first on scene at a car accident and saves a life, but when a video of her performing CPR goes viral, life gets really complicated. The driver of the car involved in the accident is a well-known sportsman. The club that the footballer belongs to offers Mel a job, and she takes it. After all, Mel has a mortgage to pay as well as other debts and two children to support. What other choice could she make? But Mel’s employment is short-lived. She’s foolish enough to become involved with a journalist covering the story around the car accident. Can things get any worse for Mel and her family? After some soul-searching, Mel opts to try a sea change. She ends up moving to the small town of Pelican Point, on the coast of Western Australia, where she buys a run-down post office. Can Mel make this venture succeed? And how about her children? How will they adjust to life in a small town? I liked this story, although I wanted to reach into the pages and shake Mel more than a few times. ‘Where’s your judgement?’, I muttered under my breath more than once, joined by ‘Stop and think’. But Mel by the end of the novel is a much more competent, confident person than she was at the beginning. Along the way Ms Ryan has Mel dealing with several quite challenging issues and while Mel doesn’t always get it right, she tries hard. If you like contemporary novels peopled with delightfully flawed human beings dealing with real issues, you may also enjoy this novel. Note: My thanks to the author for providing me with a free copy of this book for review purposes. Sign into Goodreads to see if any of your friends have read Ripple. I always love hearing about WA writers and WA-set books. Lily wrote: "I always love hearing about WA writers and WA-set books." I hope you enjoy reading this one, Lily.